I ate a lot of really delicious food today but some of it was very fattening. 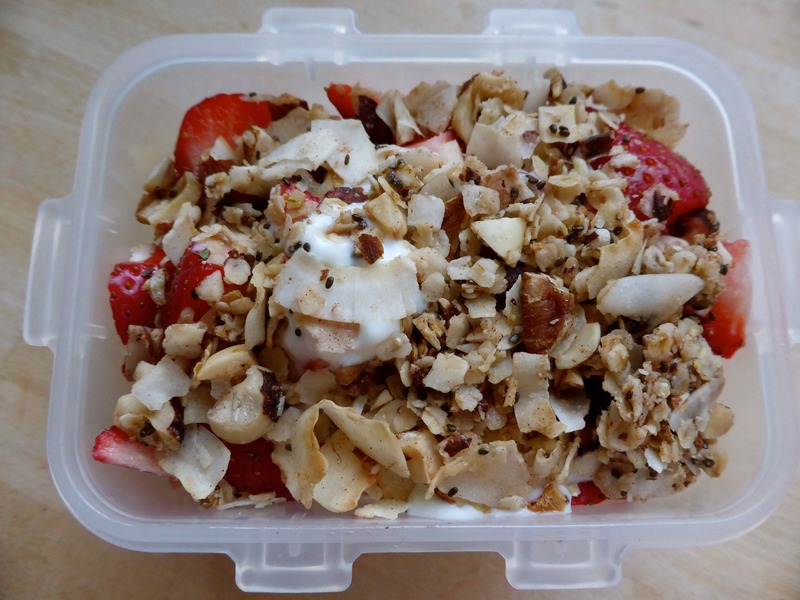 Coco-Nutty Granola with kefir, banana and strawberries. Yummy. Quiche and salad. 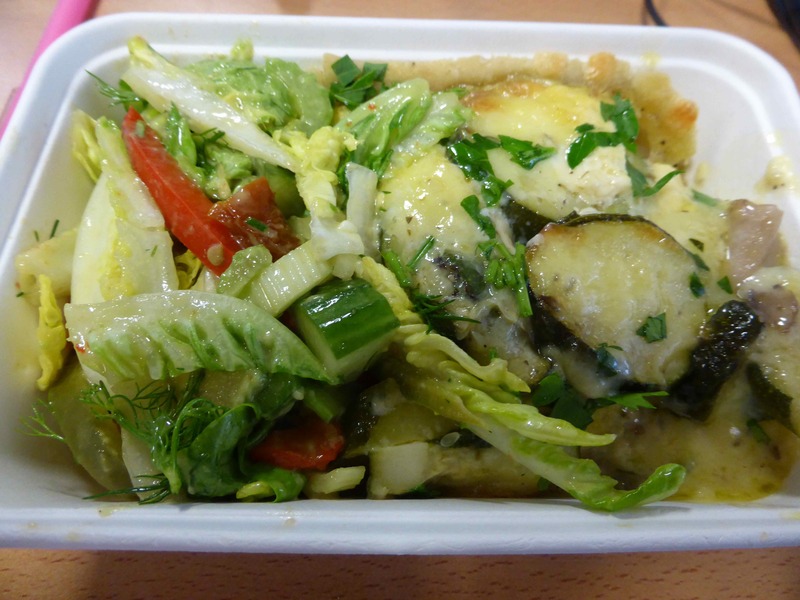 The quiche was very cheesey and full of vegetables and the salad was fantastic. It had big chunks of avocado in it, crispy lettuce, tomatoes, cucumber, dill and a great dressing. Unfortunately, this irresistible dessert sits next to the salads and I love it. 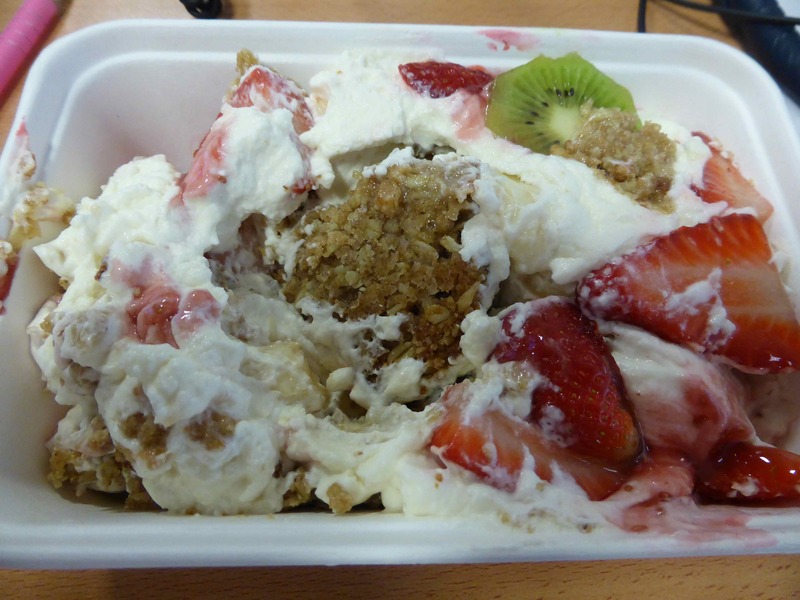 Chewy oaty chunks, whipped cream and fruit. So good but so bad! 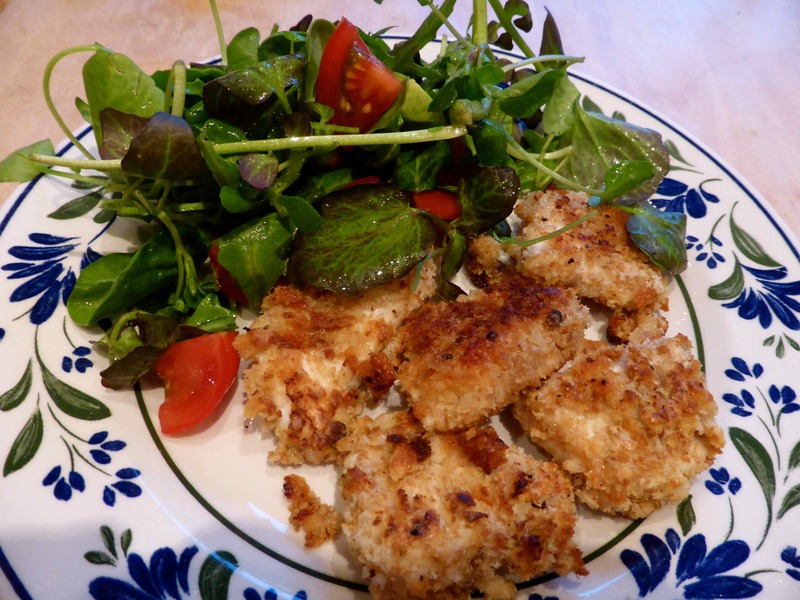 For dinner we had chicken nuggets! Yes, we really did, good healthy ones. Lara made these following my sister Abi’s recipe. They were quite easy to make too. 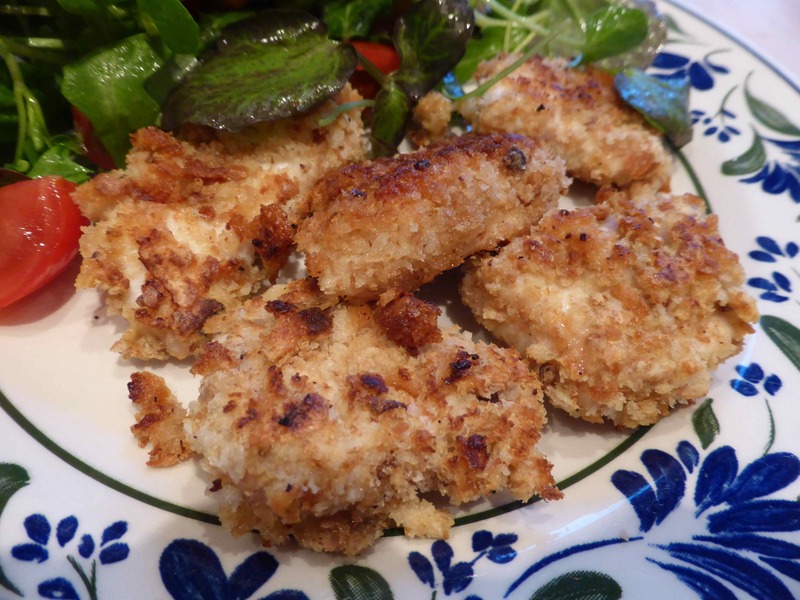 Chop up the chicken breasts, coat them in seasoned flour, beaten egg and breadcrumbs and then fry them. The coconut oil gave them a really good flavour. Served with a large salad. Lara made these for Harvey. He does really well with all the salads and vegetables we make him eat. He has stopped moaning about no jam, ketchup or all the other things we no longer have as they contain sugar. 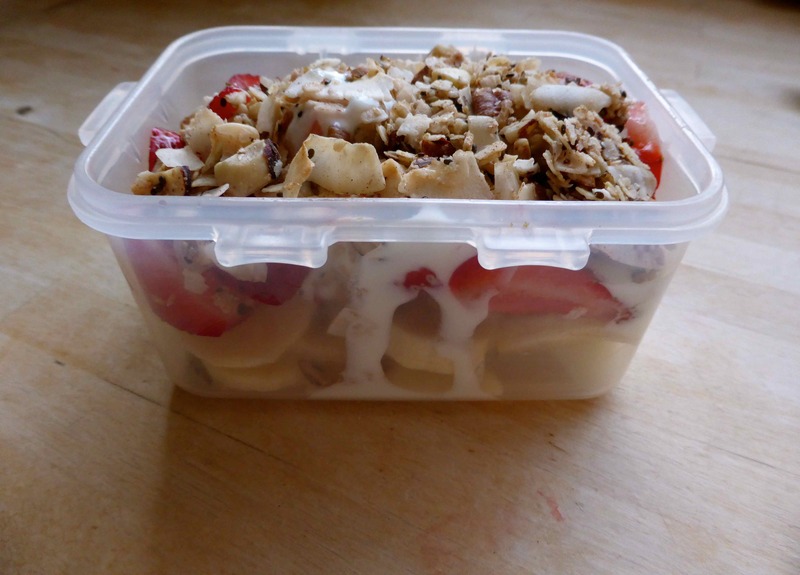 But sometimes he wants to eat junk food so Lara made him a healthy version. Thank you Lara, they were excellent. The crust was really crunchy and the chicken was succulent. Then we had pudding – eek! Such a lot of delicious food and hey, it’s nearly Easter !